Throughout the last weeks, I've been finding it very hard to not get distracted by all the good news coming in from Turkey, and to focus instead on the as usual not too positive updates from Palestine and Israel. 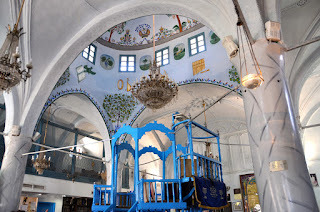 I therefore decided to write about the rather complex relationship between Turkey and Israel, two states that easily qualify as rogue states, and which seem to always get away with it. 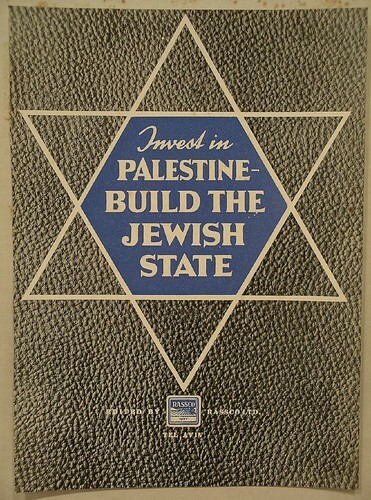 The Republic of Turkey was the first Muslim majority country to recognise Israel's statehood in 1949. Soon the nurturing of military, strategic and diplomatic cooperation between the two states was given high priority by both. Although usually joining into the chorus of criticism against Israeli aggression towards the Palestinian population, Turkey's tone of voice was usually milder than that of other Muslim majority states. Until 2008, economic and diplomatic relations remained good and both countries benefited especially from their military collaborations, yet with Israel's Operation Cast Lead during which more than 1,000 Palestinians were killed in Gaza, the ties between the two countries were slowly severing. Protest in Istanbul commemorating the Flotilla incident. In May 2010 those tensions eventually reached their climax with the Gaza Freedom Flotilla raid, during which nine Turkish activists, attempting to break the siege on Gaza were killed by Israeli troops. Israel initially refused to officially apologise, claiming that the flotilla was organised as a provocation or media stunt, and that a number of activists on the Mavi Marmara were prepared from the beginning and sought a violent confrontation. In response Turkey froze diplomatic relations with Israel and only three years later in March 2013, Prime Minister Benjamin Netanyahu apologised on behalf of Israel and agreed to financially compensate the families of the nine activists. Netanyahu further promised to ease the blockade of Gaza if Turkey would drop the lawsuits against IDF officers and Israeli officials over the flotilla incident. The Kurdish people are an ethnic minority spread across the borders of Turkey, Syria, Iran and Iraq. Since its foundation, the Republic of Turkey has been violently oppressing the Kurdish and their culture in its territory. Measures by the Turkish government included among others, forced relocations, destructions of whole villages and the banning of the Kurdish language. 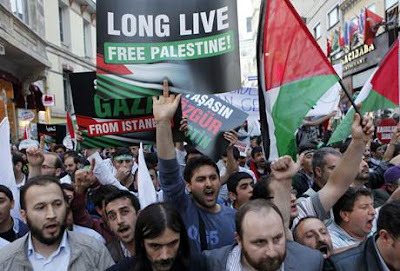 Whenever Turkey launches criticism against Israel's policies towards the Palestinians, right wing Israeli politicians are quick to reply, that Turkey was one of the last countries to point its finger towards Israel, considering their own treatment of the Kurdish minority. In the aftermath of the above mentioned Freedom Flotilla raid, a group of Jewish Israeli students announced that they would organise a counter-flotilla to northern Kurdistan to raise awareness to the plight of the Kurdish living under Turkish occupation. Following the logic of the enemy of the enemy is my friend, but also due to the historically positive relationship between Kurds and Jews in Kurdistan, many Kurdish people see a natural ally in Israel. Although living under similar conditions as the Palestinians, there are no significant alliances between the two populations, to the contrary, many Kurdish people hold a grudge against the Palestinians for having supported Saddam Hussein's Ba'athist regime, which implemented an extermination campaign against the Kurds living in Northern Iraq, which resulted in at least 50,000 deaths. 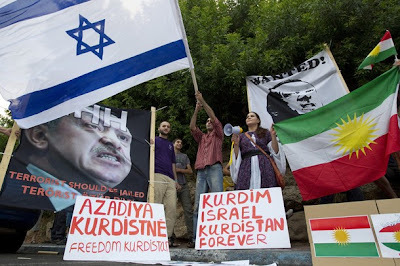 Jewish organisations worldwide on the other hand lobbied for campaigns to aid the Kurds living in Iraqi Kurdistan. During and after World War I the Ottoman government systematically exterminated the Armenian communities from their historic homeland, which now forms part of the Republic of Turkey. Through massacres, forced labour, as well as deportation to the Syrian desert, an estimated number of 1 to 1,5 million Armenians were killed. While an overwhelming majority of historians and academics, as well as many states recognise the massacres and forced deportation of the Armenians as genocide, the Turkish government itself notoriously continues denying it. Although the Jewish-Polish jurist who coined and fought for the adoption of the term "genocide" specifically referred to the Armenian annihilation as an act of genocide, the Israeli position on the issue remains an ambiguous one. 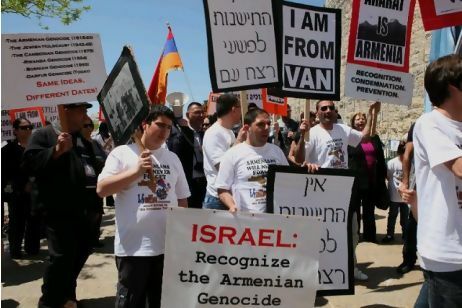 So far Israel has refrained from recognising the massacre of the Armenians as genocide, yet after Turkey severed its relationship with Israel as a response to the Freedom Flotilla raid, right-wing Israeli politicians suggested to recognise the Armenian genocide as a way of "punishing" Turkey. After Netanyahu's apology and the subsequent recovery of the Turkish-Israeli relations, an Israeli parliament member told the Israeli newspaper Ha'aretz, that "it needn't influence recognition of the massacre of the Armenian people; it's not that we have to either recognize the genocide or have relations with Turkey". This remains to be seen in the near future as a broader debate on the issue is supposed to be conducted in the Israeli parliament. Notwithstanding Turkey's good relations with Israel, Turkey has been relatively supportive of the Palestinians and the state has been a major source of humanitarian aid especially to the Palestinians living in besieged Gaza. Especially current Prime Minister Erdogan has been an active voice in condemning Israeli policies towards the Palestinians and Turkey also supported the Palestinian UN bid in 2012. 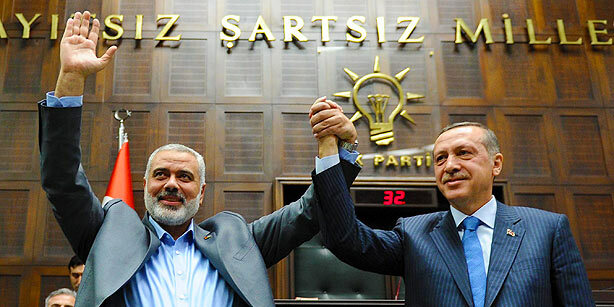 Notwithstanding US objections, Erdogan, whose sympathies concerning the Palestinian internal divide have always clearly rested with Hamas, announced that he planned to visit Gaza and the West Bank in the coming months. Seemingly, despite their differences, Turkey and Israel should actually get along quite well, and probably, as long as they can economically and strategically benefit from the partnership, the human rights abuses that each side continues to commit will be sidelined, or only used as a way to distract from their own. Yet, these days the Turkish government is probably anyway too busy repressing the uprising of its own citizens, than to deal with Israel or Palestine.